School camps bringing green education and sustainability to life at our off-grid centre. Stay for a school residential visit of up to 4 nights or make a day visit to us. Exploratory: discovering the animals, habitats, eco-systems and natural resources around us through animal tracking, wild food foraging, firelighting & campfire cooking, shelter building, bat detecting. Physical- using our own energy or that of nature to experience exciting sports including archery, climbing, orienteering, technical tree climbing, power kiting, kayaking. Creative: reconnecting with traditional rural skills including willow weaving & sculpture, green woodworking, charcoal making, hand forging. 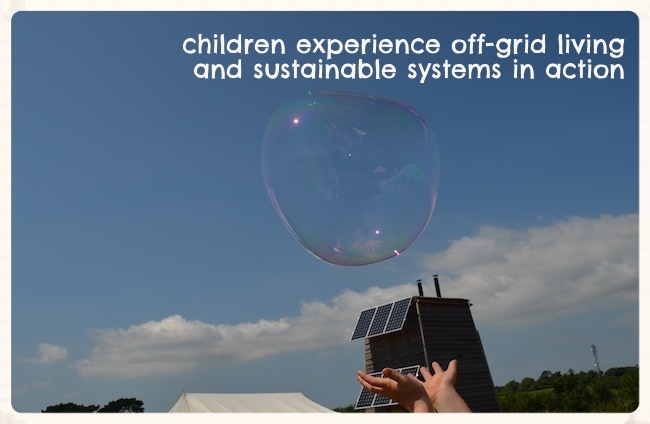 Camp Kernow's off-grid environmental adventure centre near Truro in Cornwall welcomes school groups for day visits and residential camp experiences of up to 5 nights. Harnessing renewable energy and employing sustainable technologies including composting toilets, reed-beds, a solar powered water pumping and filtration system and biomass-fueled showers, the camp brings green education to life, enabling children to understand and experience a new way of living in balance with nature, it’s ecological systems and resources. 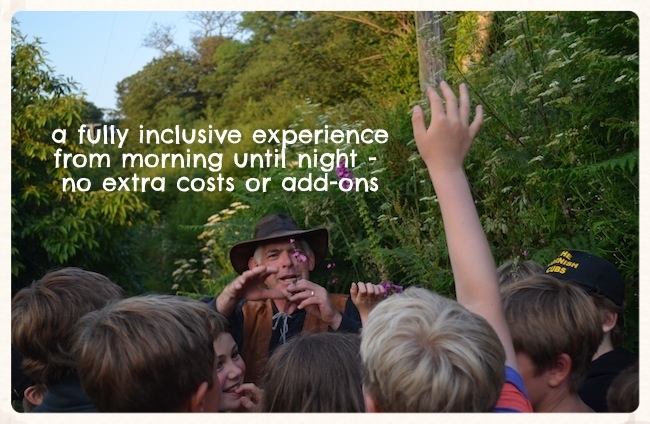 During their stay, children take part in a packed programme of exciting, challenging and unforgettable experiences from morning through to night, including wild food foraging, technical tree climbing and bat detecting. Each school camp is planned in consultation with you to ensure a tailored and curriculum linked experience. Children enjoy delicious home cooked food while at camp using ingredients harvested from our food garden or sourced from local (organic where possible) producers. Children are responsible for getting the food from field to fork, harvesting fruit and vegetables and helping to prepare meals in our well equipped field kitchen under the guidance and supervision of Camp Kernow staff.